UPDATE 8/11/18: This action is now closed. We will be handing the petition over to the Saudi Arabian authorities. Thank you to the over 11,000 people who took action, Amnesty International will continue to monitor the case. The journalist walked into a Saudi Arabian consulate in Turkey and disappeared – we need to know what happened. On the 2nd of October Khashoggi walked into the Saudi Arabian consulate in Turkey to get some paperwork and never came out. Saudi Arabian authorities claimed that he left the consulate, but Turkish authorities reported that he was assassinated inside the consulate. The world needs to know what happened to Khashoggi – together we need to demand answers. With enough pressure we can get the Secretary-General of the UN António Guterres to set up an independent investigation. Call on the UN Secretary-General António Guterres and demand an independent investigation now. I urge you to establish an independent investigation in order to determine the circumstances surrounding the enforced disappearance and possible extrajudicial execution of the prominent Saudi journalist Jamal Khashoggi. Khashoggi entered the Saudi consulate in Istanbul on October 2, 2018 and has not been seen or heard from since. Saudi Arabia has denied involvement in Khashoggi’s disappearance, claiming he left the consulate on his own shortly after his arrival, but the authorities have failed to produce any evidence supporting this claim. Turkish authorities have reported to the media that Jamal Khashoggi was murdered in the consulate. An independent investigation should determine the circumstances surrounding the enforced disappearance and possible extrajudicial execution of Khashoggi. It should aim to identify everyone responsible for ordering, planning, and executing any operations connected with the case. 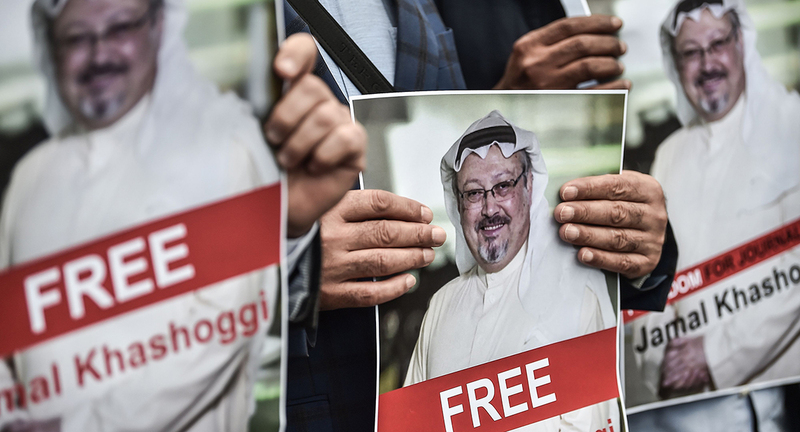 Khashoggi’s disappearance comes after more than a year of arrests targeting journalists who reported on corruption, women’s rights, and other sensitive issues, as well as human rights defenders and all critical voices in society. Jamal’s case risks being swept under the rug in a political deal, an impartial independent investigation by the UN will help reveal the truth and facts surrounding his case. You have the power to set up the investigation, please act now.